If you are flying with a large amount of cash, or other monetary instruments like travelers checks, money orders, and bearer bonds, you should take common sense steps to protect yourself from unwanted attention, but you should also be aware of what legal issues you may have to address. What you have to do will depend on what country you are in, or whether you are traveling internationally. If you are on a domestic flight in the US, there is no limit to the amount of cash or monetary instruments that you can carry. However, the TSA may ask a passenger who is carrying a large sum of cash to account for the money. If the TSA suspects that the money is related to some kind of criminal activity such as drug trafficking or money laundering, they may turn the issue over to a law enforcement agency (TSA has no law enforcement powers). If you are on an international flight that is departing or arriving the US, there are no limits as to the amount of money a passenger can carry. However, passengers who are carrying currency, endorsed personal checks, travelers checks, gold coins, securities or stocks in bearer form that are valued at $10,000 or more must report the amount that they are carrying to US customs officials. Failure to do so can result in fines or confiscation of the money. This reporting requirement applies to individual travelers, or travelers who are in a family or other group. For example, if a family of five is flying together, and they have $11,000 between them, they are obligated to report these amounts. A passenger is also required to report their non-US cash or currency if the equivalent value in US dollars is over $10,000. When leaving the US with large amounts of currency, gold, or other valuables, you should review the customs requirements of your destination country before you fly. Rules and restrictions on traveling with money will vary by country around the world. Be sure to check those laws and regulations before you fly, and if necessary make alternative plans before you fly. 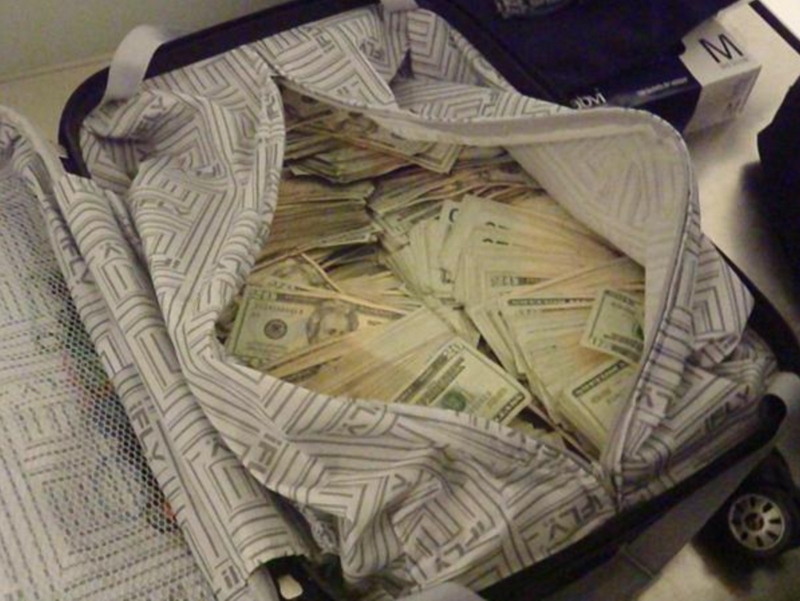 If you have to take cash, keep it in a carry on bag. If your carry on baggage must be searched, insist on keeping your bag in sight. If asked about the amount of money in your baggage by a TSA agent or other responsible authority, tell the truth.